Saturday, September 15, marks the independence day of five Latin American countries: Costa Rica, El Salvador, Guatemala, Honduras and Nicaragua. Mexico, Chile, and Belize follow shortly after, on the 16th, 18th and 21st. The Harris County Law Library extends Happy Independence Day wishes to the more than 57 million Americans, and roughly 11 million Texans, who claim Hispanic roots. 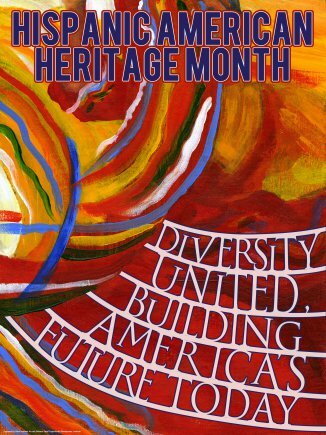 We would also like to commemorate Hispanic Heritage Month, which runs from September 15 through October 15, by recognizing the contributions of several of our era’s high-profile Hispanic lawyers, including Supreme Court Justice Sonia Sotomayor; former Attorney General Alberto Gonzales; United States Senators Ted Cruz and Marco Rubio; New Mexico Governor, Susana Martinez; and former Director of Intergovernmental Affairs under President Obama, Cecilia Muñoz. We also honor the trailblazers who came before, including the rich history of Latina and Latino lawyers practicing before the United States Supreme Court.